(Commentator whispering with an Australian accent): There’s the writer in her native habitat! Isn’t she lovely! Ah, but don’t be deceived! She can be deadly in her beauty. See the pained expression? Give her some room, Mate! You don’t want to upset her now. If you read her body language–the hunched back, the bloodshot eyes, the cramping hands, the pile of discarded Reese’s cup wrappers–you’ll know she’s not one to be trifled with. You’ll be taking your life into your hands! So you made friends with a writer. Thank you! Now, I’m not one to make blanket statements for large groups of people, you understand. That’s how wars are started, Son. That being said, (ok I HATE this expression!) I will just tell you this. Writers as a group can be sort of introverted and standoffish. Not because we think we’re better or anything, but just because we don’t really like talking to people. It’s much easier to create conversations with our imaginary friends than to keep up relationships with actual humans. We’re basically very weird people as a group. There’s a reason why we take a moment to choose each word to put on paper. However, face-to-face conversations with actual people? Um, no. We don’t interview well, either. We tend to say a bunch of unrelated gobbledygook that, when played back, makes Forrest Gump sound like a worthy adversary. I for one hate hearing my own voice played back–I think I sound about 11 years old. Anyway, thank you for befriending a writer. We appreciate it. I don’t know you, but I feel a connection with you because I know you must be a patient, kind soul to love a writer. God bless you. I’m currently filling out the paperwork for your canonization. While that’s in the works, here are some tips to understanding us. 1. Writers are moody creatures. We’re up, we’re down. We love the book we’re working on today but hate it tomorrow. This is true about every writer I’ve ever met. Much of our moods are directly related to our WIP (writer lingo for work in progress). It’s very likely that we secretly think our book is going to be the next big thing late at night when we’ve barely slept, and then the next morning pronounce the exact same work the hugest, steaming pile of dog crap ever pooped. But you love creative types, right? I sure hope so. 2. Writers can be very narcissistic. The sad thing is, we KNOW this…but sometimes we just can’t help it. I apologize for all writers where this is concerned. I really don’t think that a person could be a good writer and not be a tad full of themselves. One thing about good writers is we KNOW good writing when we see it…and when we don’t (See #1 about writers being moody). We are also VERY sensitive about our writing, and if you say something that could be construed as the mildest of criticism, we will mope for days. I’m sorry! We’re just like that. It’s embarrassing to admit. 3. When we are writing, we don’t want to talk to anyone. This is often difficult to explain. Geez, when I admit all this on paper I hate me right now! It’s best to just let us write, and take out our frustrations on the blank page. There is one caveat here, though. Sometimes we need to be rescued from our self-imposed exile or we will be sucked in, much like a gambling addict in Vegas, sitting on our diaper pad for 24 hours straight, living on a diet of peanuts and martinis. While this may sound ideal, it’s not pretty to watch. Or smell. So do come rescue your writer friend if you have not heard from them in several days. Don’t let the blank stares and body odor keep you away. Your friend has never needed you so much. If you receive a phone call late at night that is basically just sobbing…it’s me. 4. Most writers are either mentally unstable or addicts (whether alcohol, drugs, reality T.V., gambling, overcaffeinated, obsessive Johnny Depp fans, etc.) Here’s the thing: we don’t really understand the words “moderation,” and if we are honest with ourselves, we are medicated for your safety. I’m just telling you this because you should know who you are dealing with. Sometimes we’re just giant a$$holes and there’s really no excuse for that.That’s one of the things that makes us so lovable, right? 5. Writers are very loyal friends, and they love deeply. If they love you, you can bet you will know it–because they will write about it. Sometimes, I think this is the only thing that keeps our spouses, friends and acquaintances around. Plus, we’re good in a pinch if you need a quick proofread for your resume or break-up letter/email. I highly recommend consulting us for this last one — we are especially talented at finding just the right word to tell that d-bag where he should go, who he should take with him, and which direction to take. Again, I want to thank you for befriending a writer. We need all the flesh-and-blood friends we can get (and that can stomach us), lest we fall into the sidewalk art like Mary Poppins, never to be seen again. Now, will you give me a minute? I need to finish this blog, then I’m all yours. Ah Mother’s Day, the time of year moms are revered for their eternal patience and long-suffering martyrdom. WRONG! It’s more of a desperate showdown to see which kid can outdo the other in the gift department. I know you have probably already been planning months in advance what you are gonna do for your mom for Mother’s Day, so chances are you don’t need this post. You haven’t? GASP! You can’t see, but I’m lowering my eyebrows right now. Holy crap, you’d better keep reading! Your life may well depend on it, buddy. But if you need some help figuring out what to make Mom for breakfast tomorrow, here are some life-saving ideas. Remember, the life you save might be your own. I love the Pioneer Woman. She’s kind of my cooking mentor. Every recipe I’ve tried from her website has always turned out wonderfully, sinfully delicious. Not that I’m encouraging you to sin or anything. 1.Migas are truly a Texas thing. They are delicious blend of eggs and corn tortillas.Yummy! 2.Another good recipe to try, that’s not too difficult, is french toast. Here’s a version you can make the night before and throw into the oven all fancy-like. 3.Something you can’t go wrong with is blueberry muffins and coffee. I mean, it’s a scientific fact that every mother in the world loves blueberry muffins and coffee. If you come across a woman who says she doesn’t, walk away slowly, backward, because chances are she’s not REALLY human and in all actuality is MOST LIKELY AN ALIEN SPY or POSSESSED BY THE DEVIL. These are the two most likely scenarios. For everyone else, here is a great recipe for blueberry muffins. 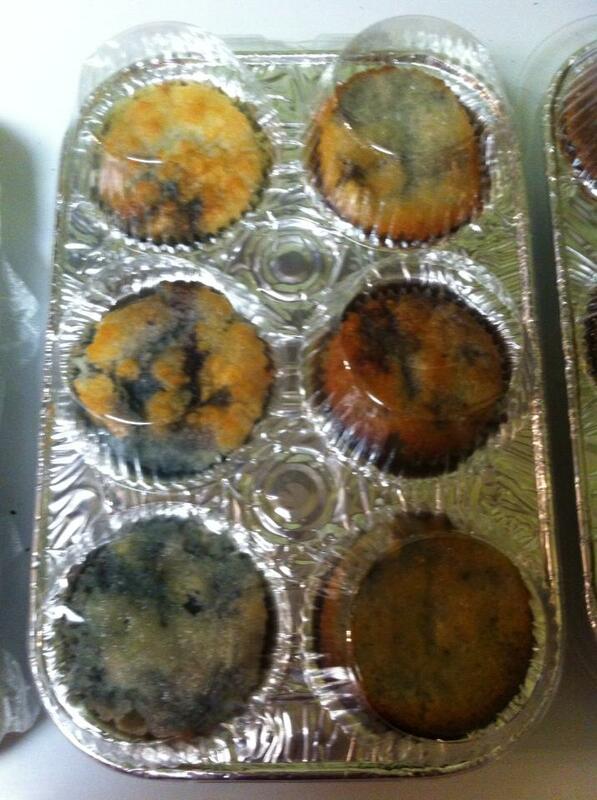 Pictured: blueberry muffins I made for Nathan’s band the day I went insane (well one of them). I made about 8 dozen different kinds of muffins and THERE WERE NO SURVIVORS. 4.Just in case your mom is one of those health nuts we’ve heard tell about, I’ve included an awesome egg recipe in this “Carb Buster Breakfast) that should fit the bill. It’s also delicious for moms who don’t give a rip about calories. So you’re welcome. 5.Last but not least: coffee. I can’t stress the importance of this enough, folks. If you waltz into your mom’s room on Mother’s Day without steaming hot java goodness…well, I shudder to think of the consequences. Yes, I have indeed heard of women in this country who don’t drink coffee. It’s a scary urban legend told over campfires, horrifying enough to send a chill up your spine. I’m not gonna add fuel to those crazy rumors here. I’m all about the truth, people. I’ve included a video about how to make a latte at home. If you don’t have all this equipment, you can just make a quick trip to Starbucks or make her a cup of coffee the way she likes it with Ye Olde Coffee Maker. Either of these is a good option. Tell your mama Happy Mother’s Day for me…if you make it out alive, that is. 5 Reasons To Have Your Morning Coffee. No, really. We all know that coffee is the nectar of the gods. Whoever first thought to roast and grind fresh coffee beans, in my opinion, deserves a Nobel Peace Prize. I don’t have any tangible proof, but I’m pretty sure that many life-changing decisions are made over coffee. 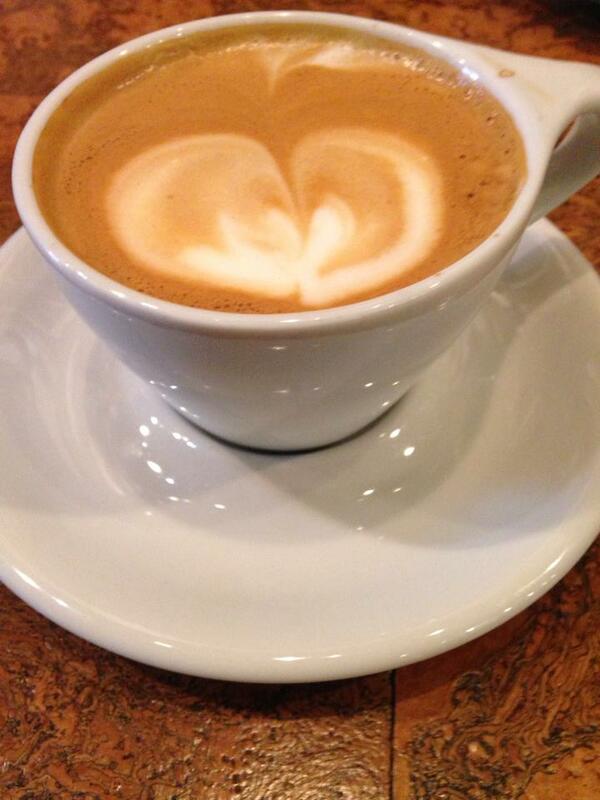 Here’s 5 reasons to go ahead and have that yummy coffee this morning. 2. According to the Huffington Post, coffee lowers your chance for Type 2 Diabetes. apparently, the more the better! 3. Having a cup of coffee in the morning before you hit the ground running allows you to steal a moment of peace before the insanity begins. Take a sip and plan your day. 4. It lowers your risk of death. Studies held by the New England Journal of Medicine show that more coffee consumption extended the life span of its participants. My theory is that coffee drinkers know their weakness and just do it already. 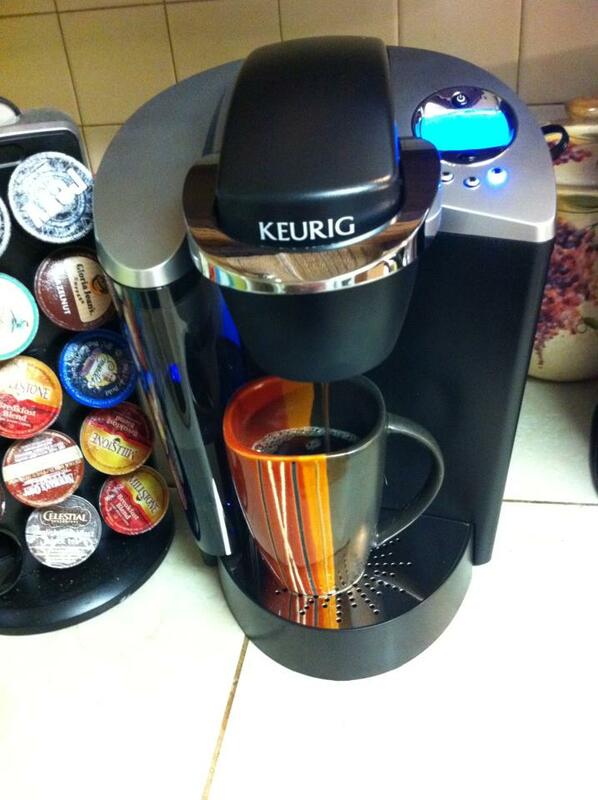 Having a cup of coffee is a chance to recharge the battery and refocus on tasks needed to be done. 5. Let’s just face it: in my house, Mama’s consumption of coffee really ensures the health and well-being of EVERYONE PRESENT. So go ahead and get your java on, girl! It’s a matter of life and death!